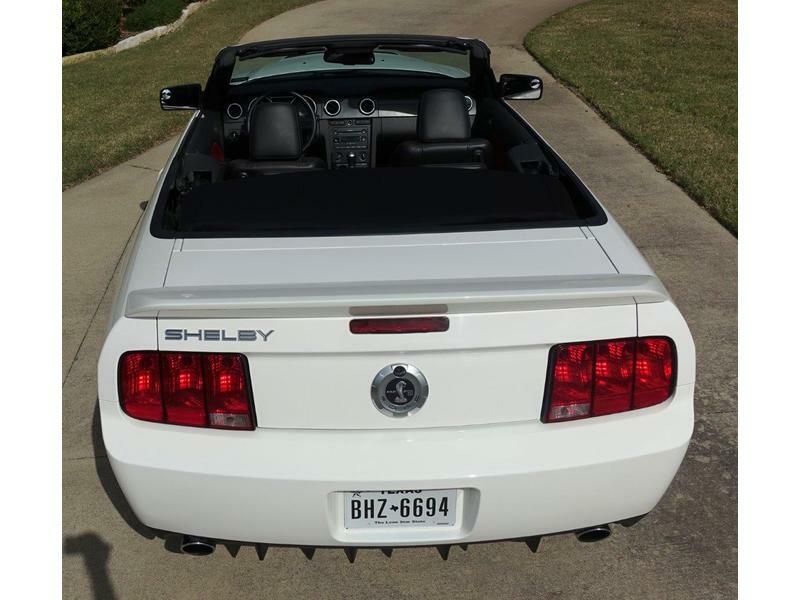 2007 Shelby GT500 Convertible - Year One! 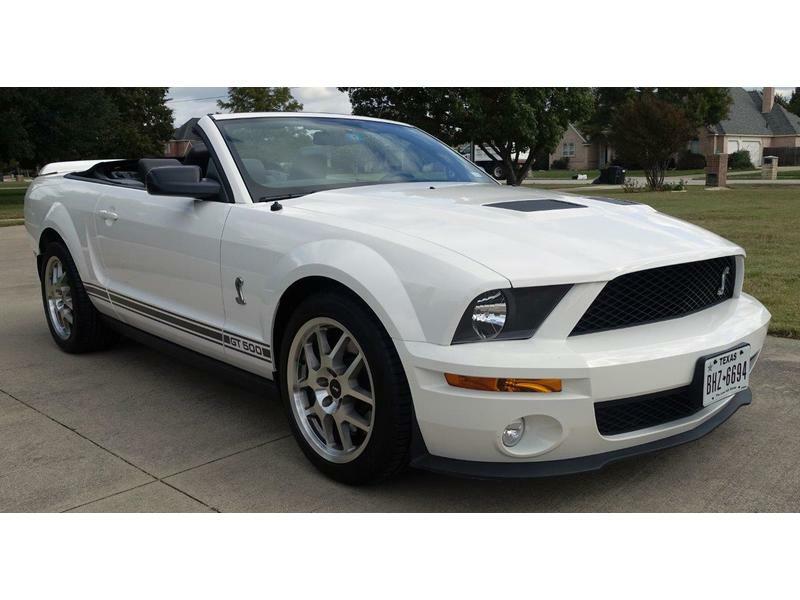 This is a very early 2007 Shelby GT500 convertible and one of only 2,500 that were made. 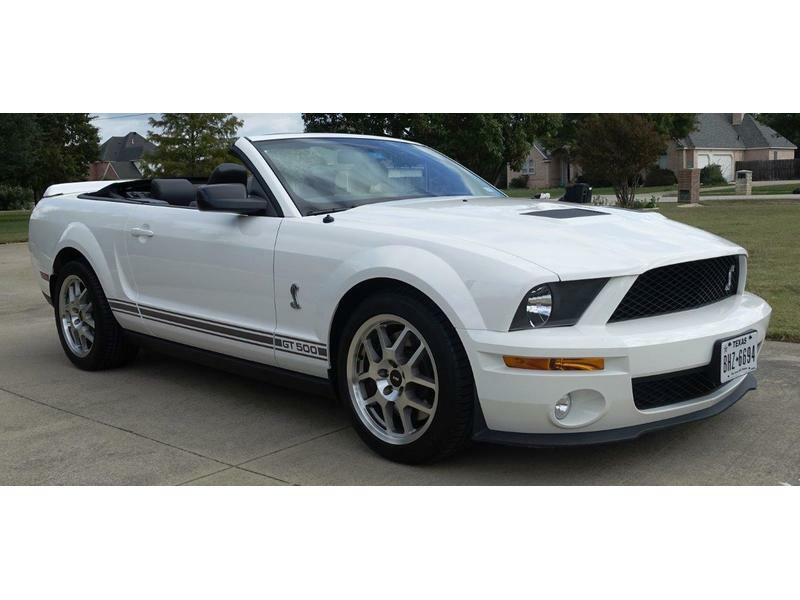 After it was purchased new in August of 2006 for $71,000 (including a $20,000 dealer premium to own one of the first 2007 GT500 convertibles), I bought the car from a close friend. 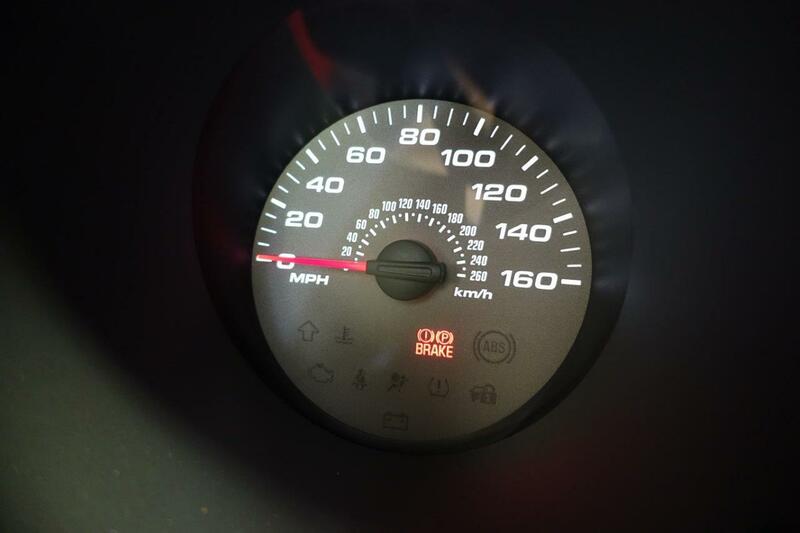 In eleven years it shows just over 20,000 miles on the odometer. 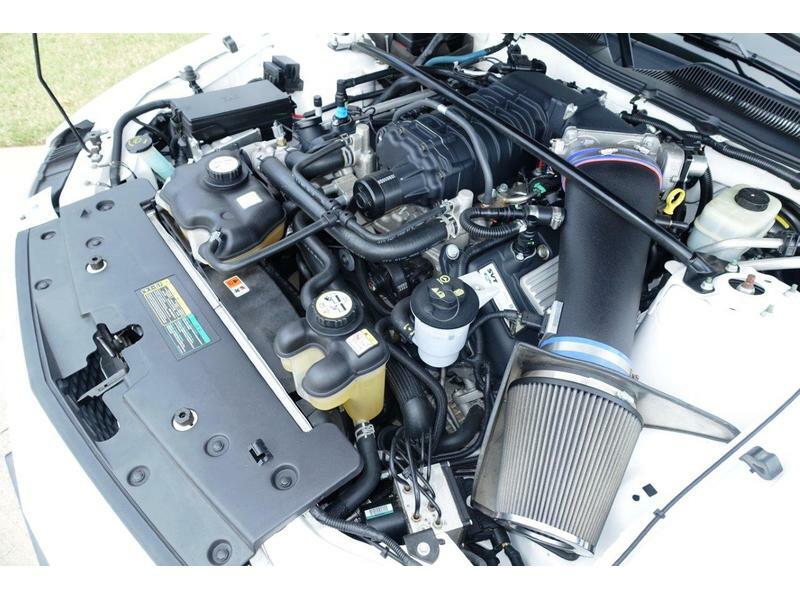 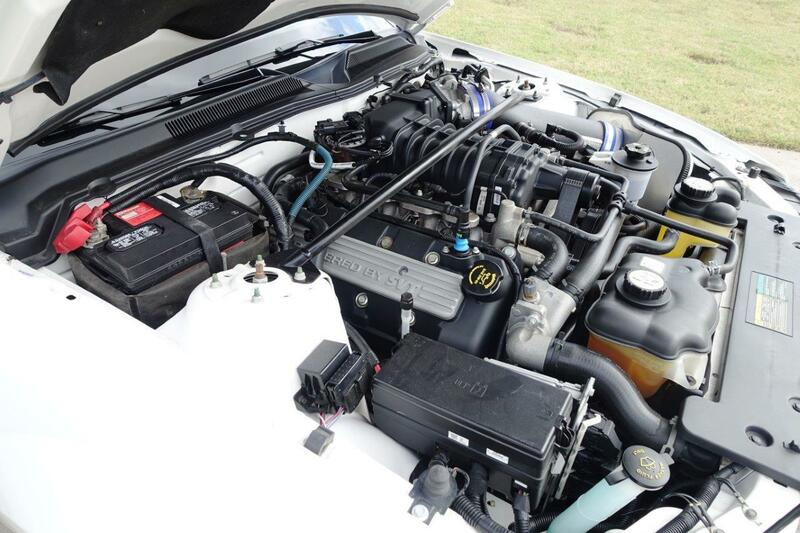 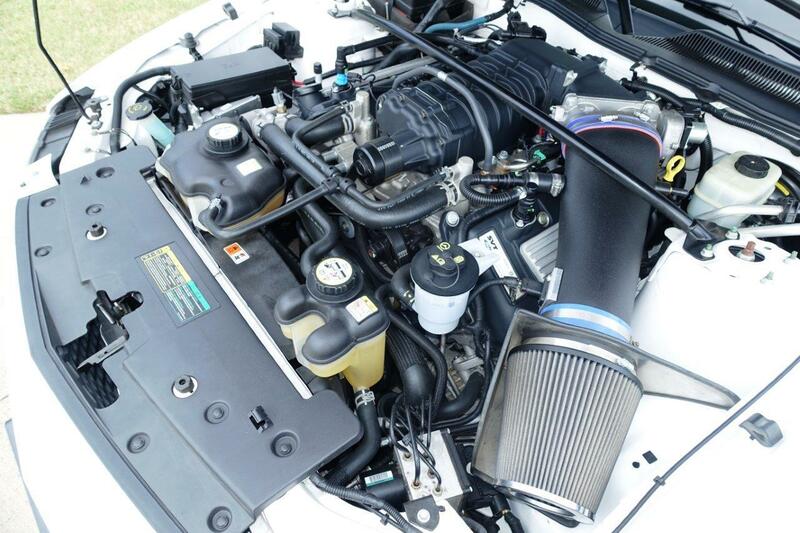 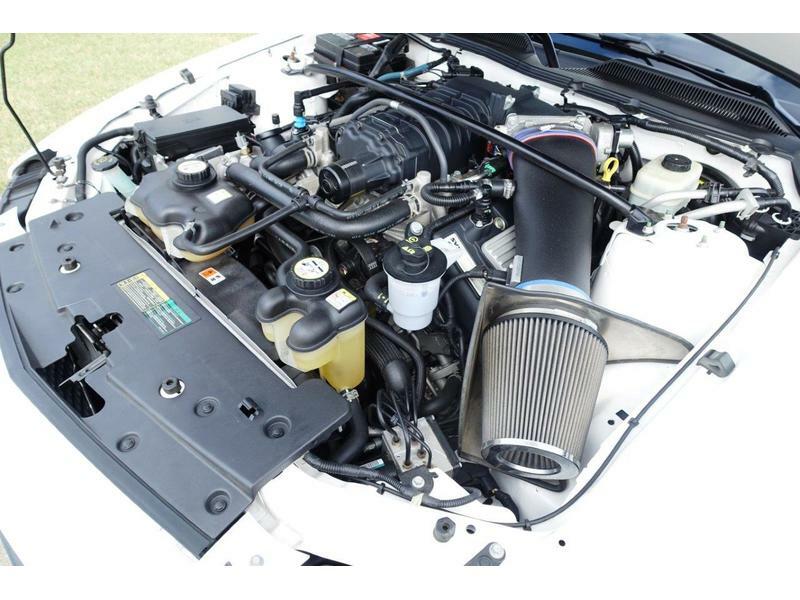 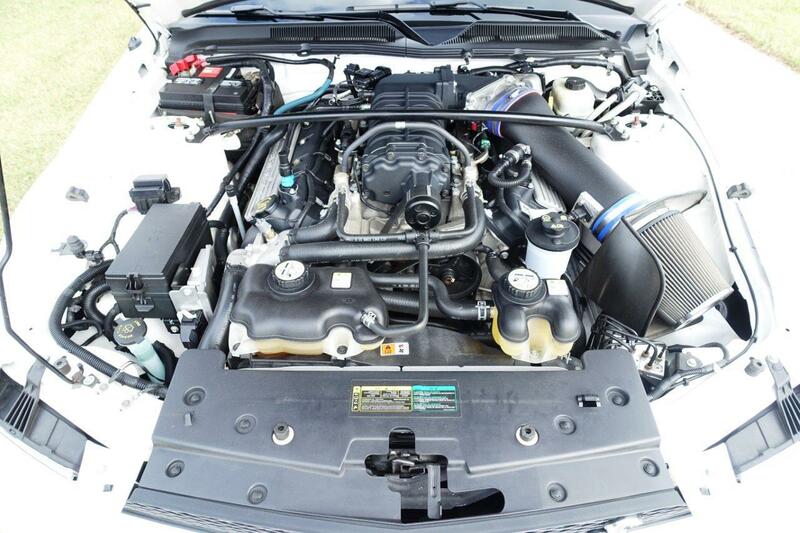 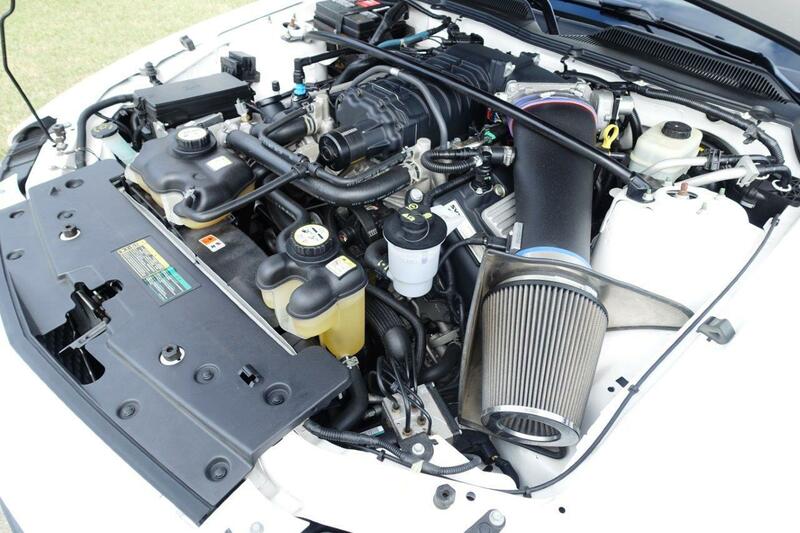 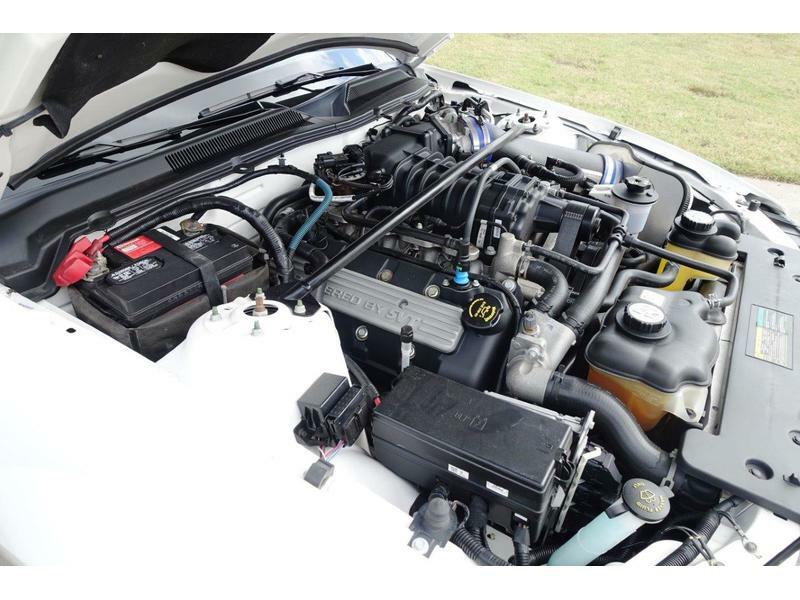 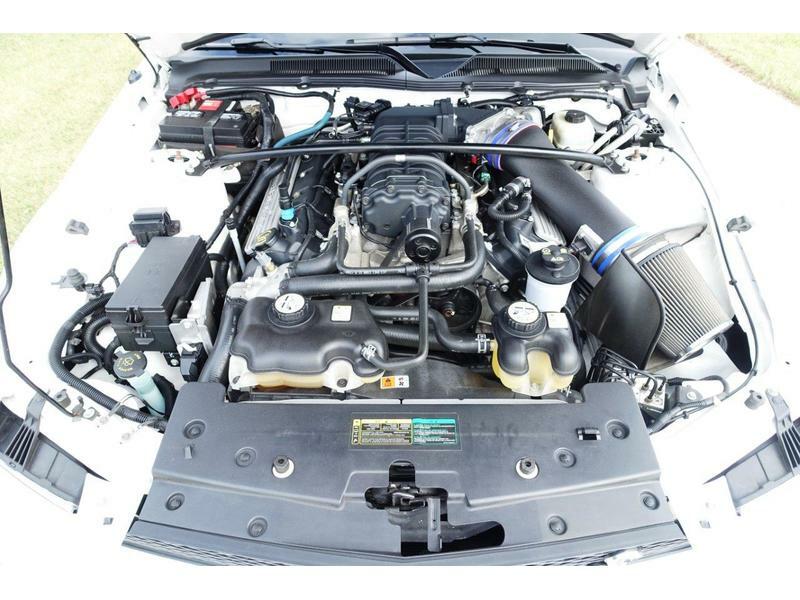 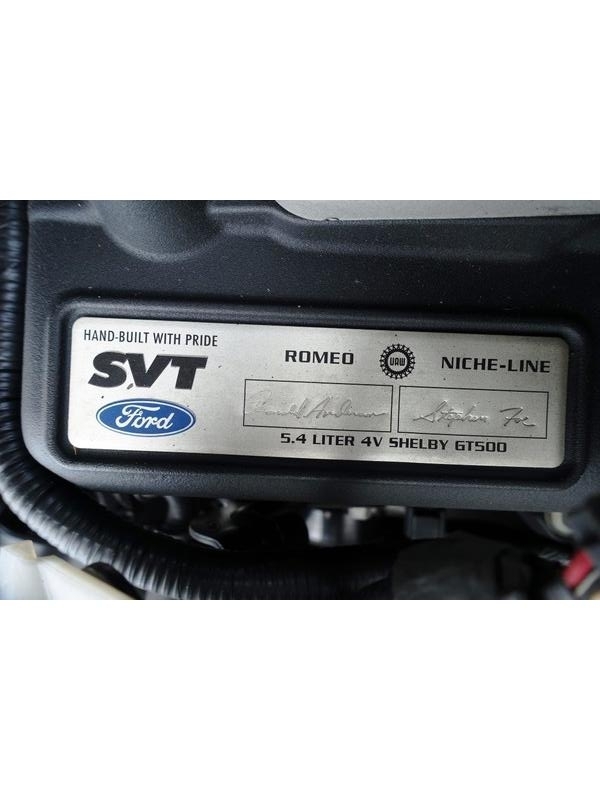 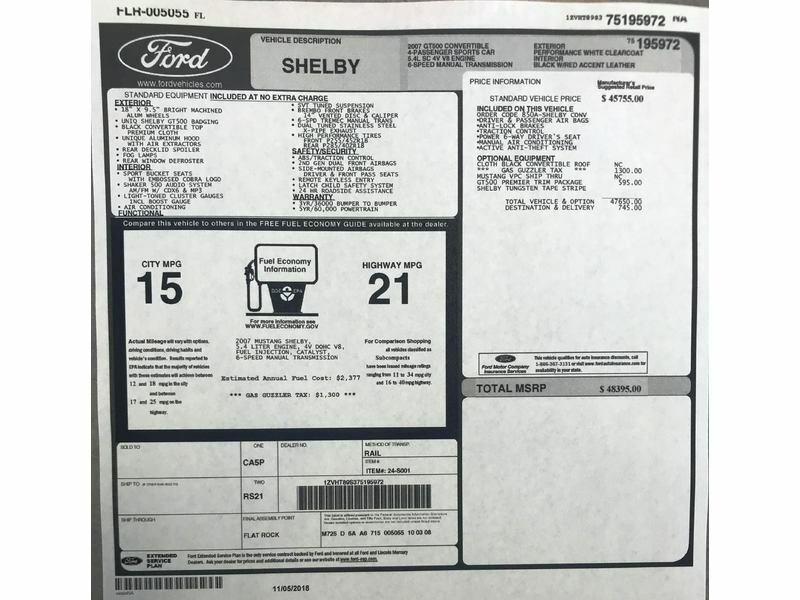 Engine performance upgrades were performed by Shelby Cars NW and include a new K&N cold air intake, Ford Racing exhaust, and a performance tune. 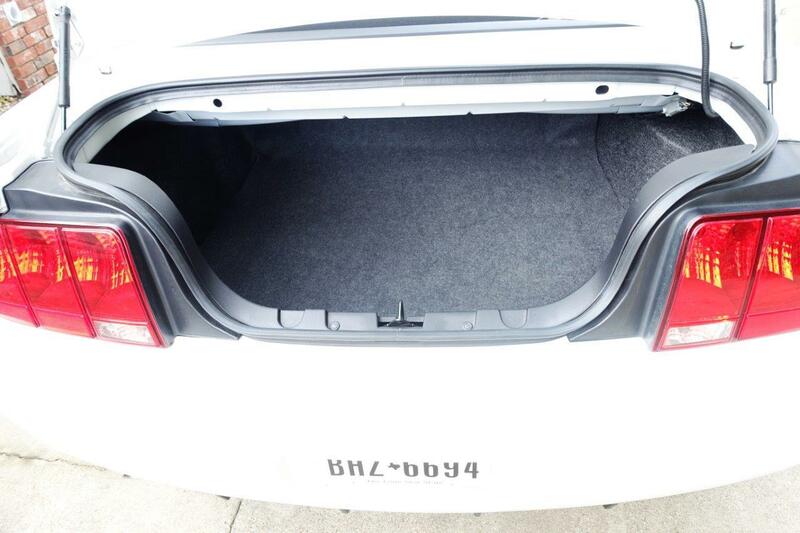 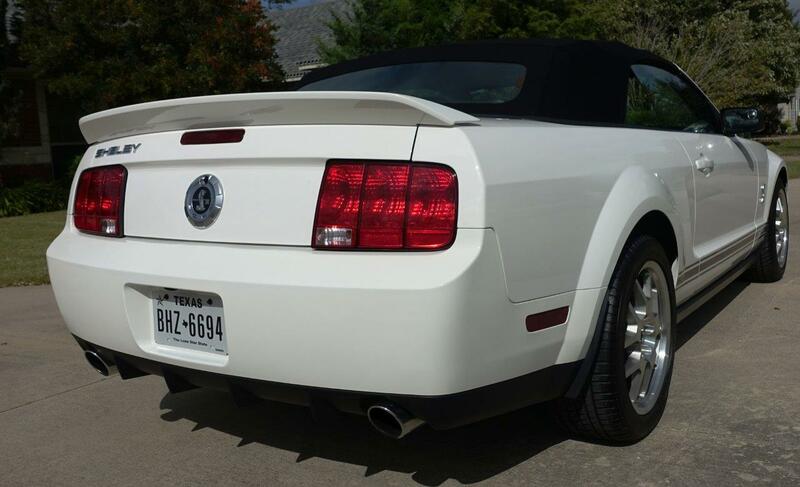 The original exhaust system goes with the car. 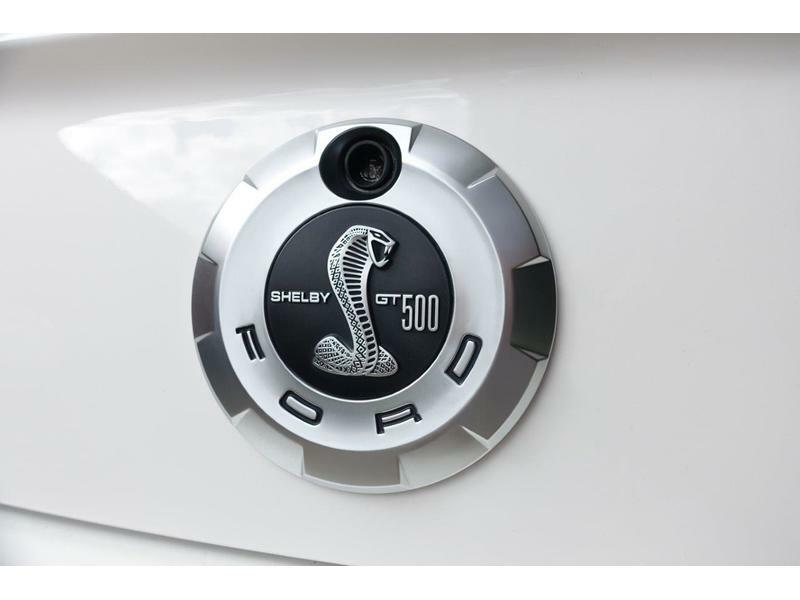 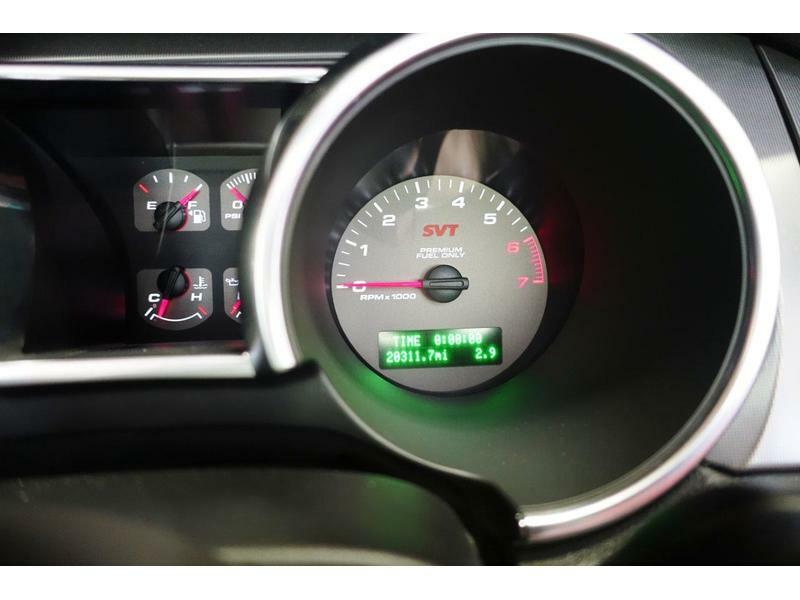 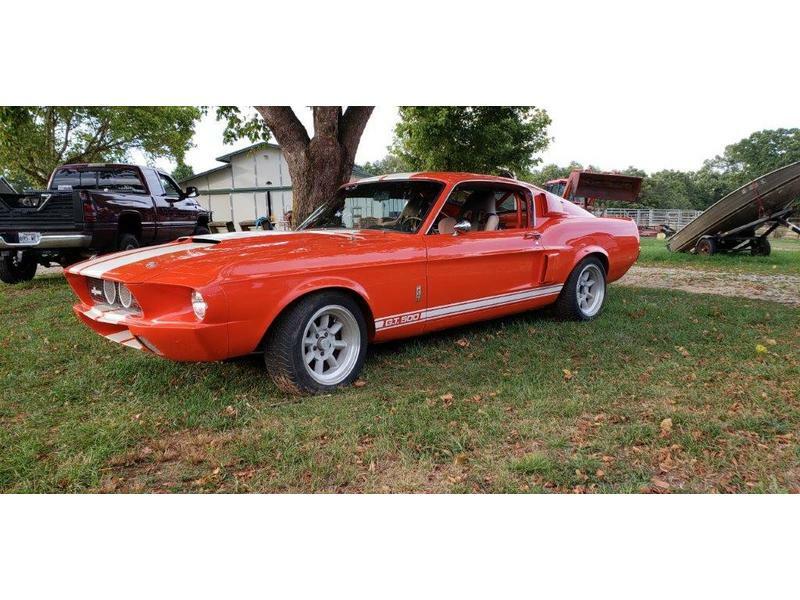 The equipment on this Shelby GT includes power steering, 4 wheel power disc brakes, power driver seat, Shaker 500 sound system, power top, power windows and a 6 speed transmission. 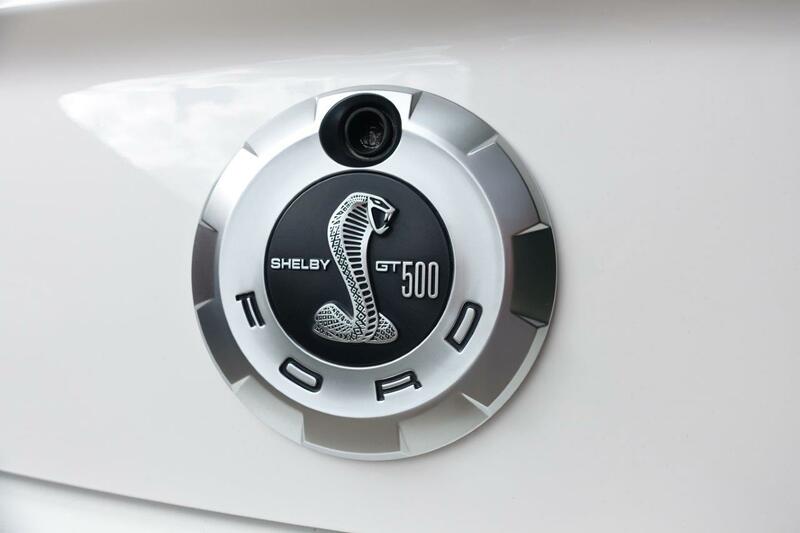 The GT500 comes with new Michelin Pilot Sports tires. 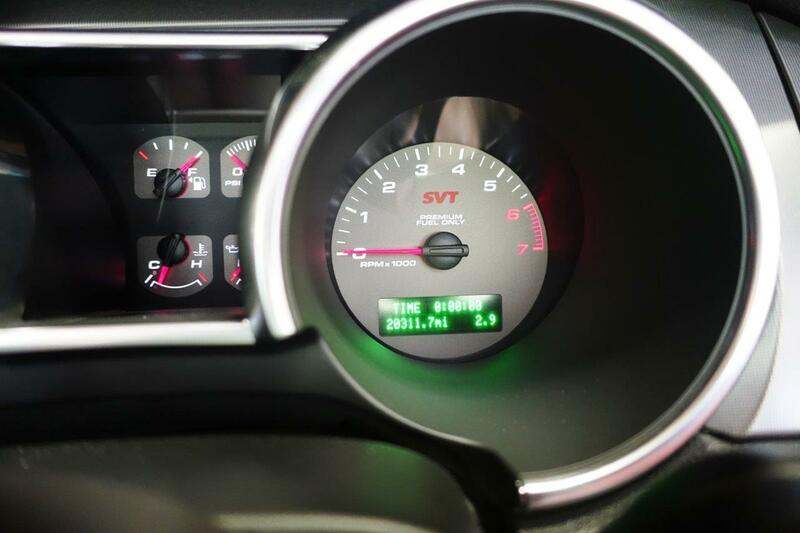 Everything works exactly like it did when it was new. 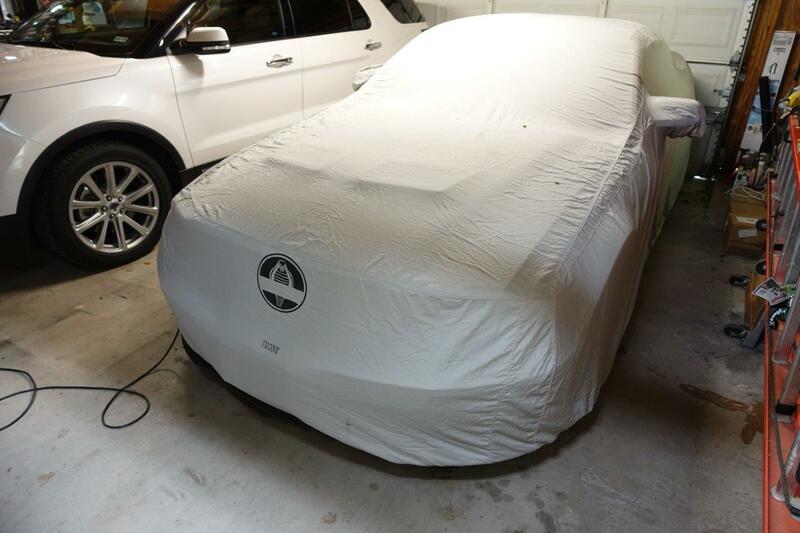 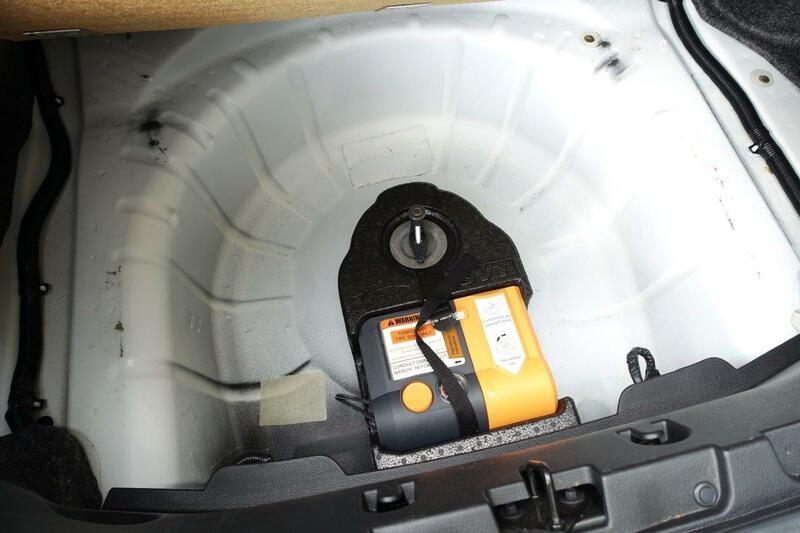 It’s always been garaged and covered in a temp controlled environment. 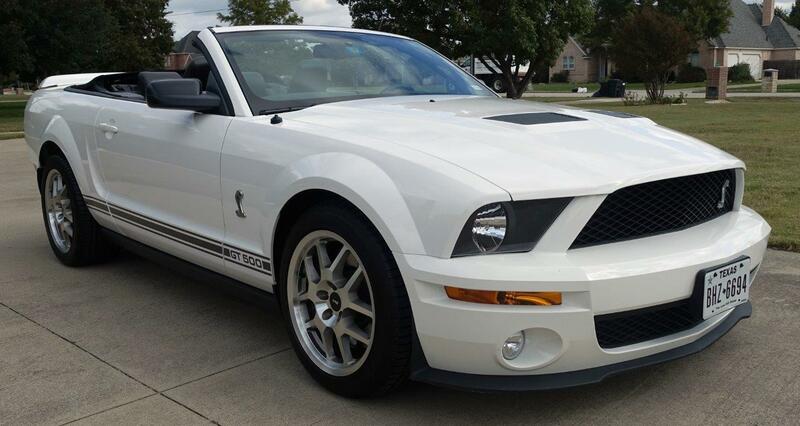 This Shelby was driven in fair weather to car shows and weekend Shelby events, exercised regularly and properly stored. 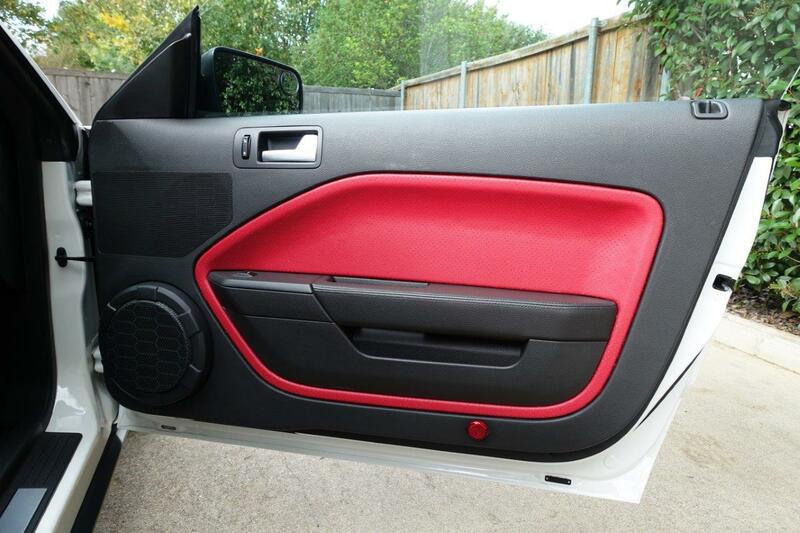 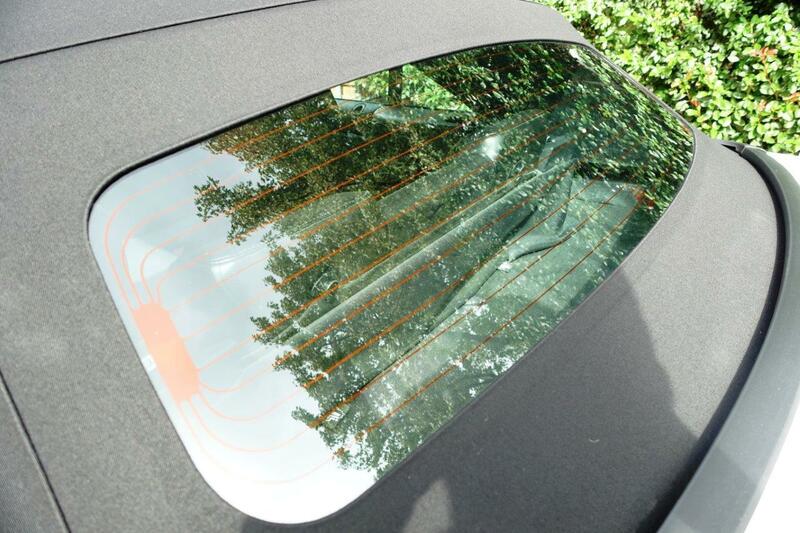 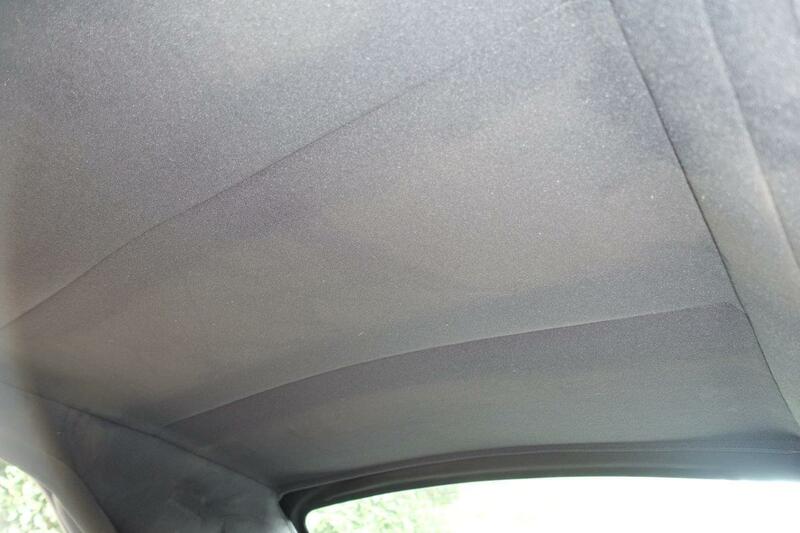 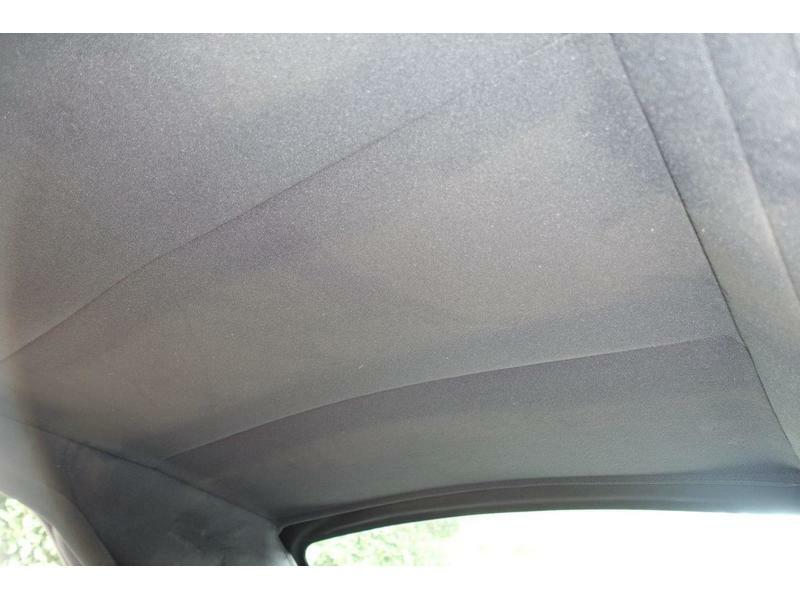 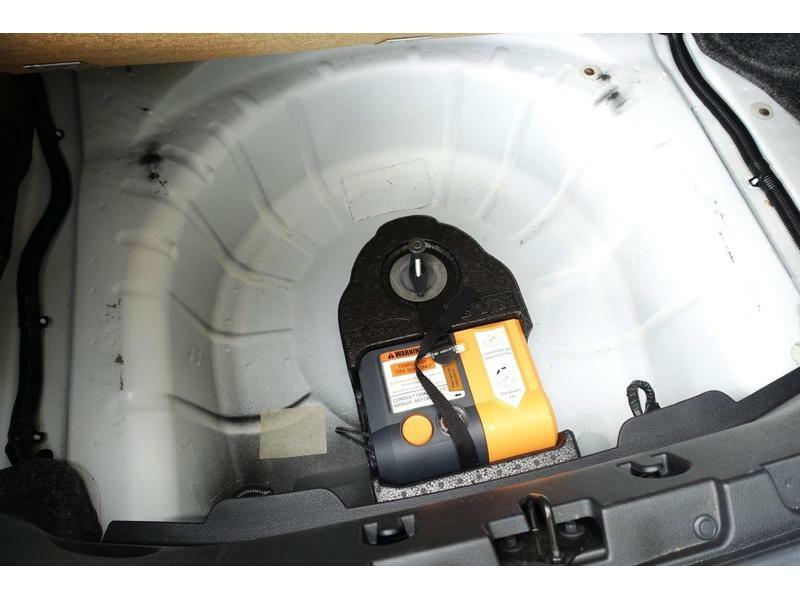 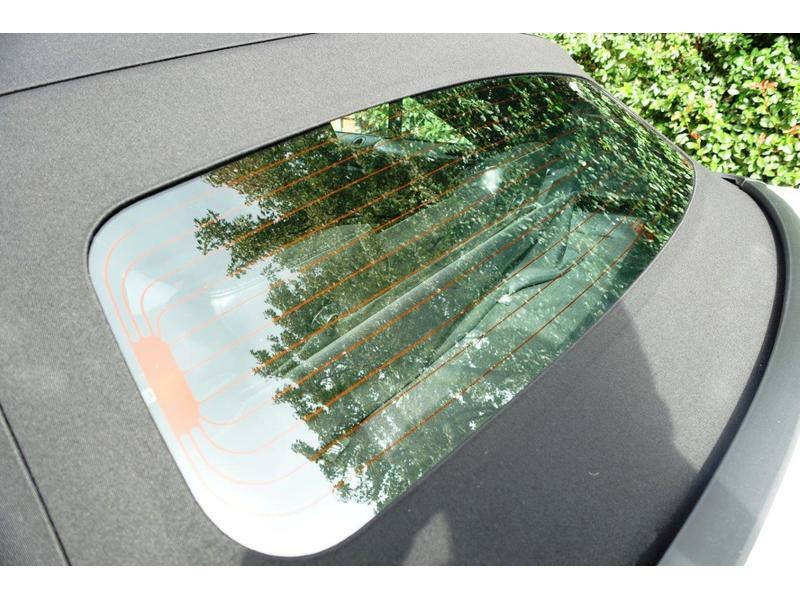 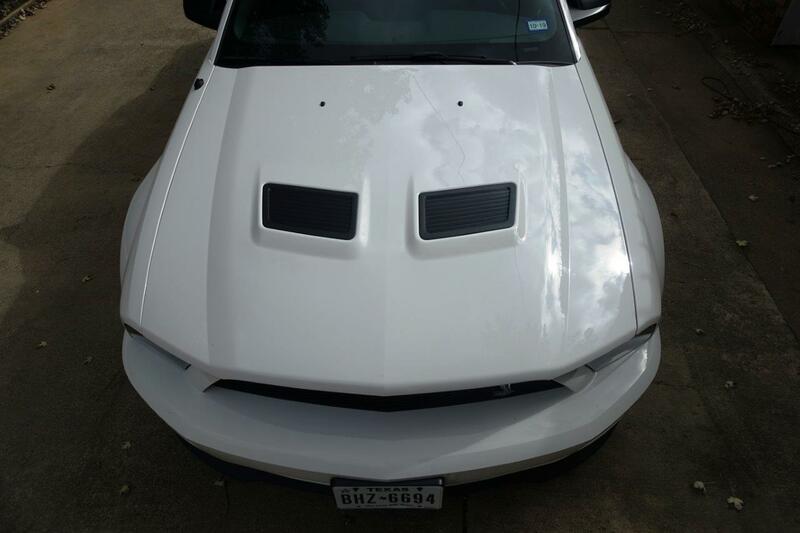 The sheet metal is 100% original and has never been in an accident. 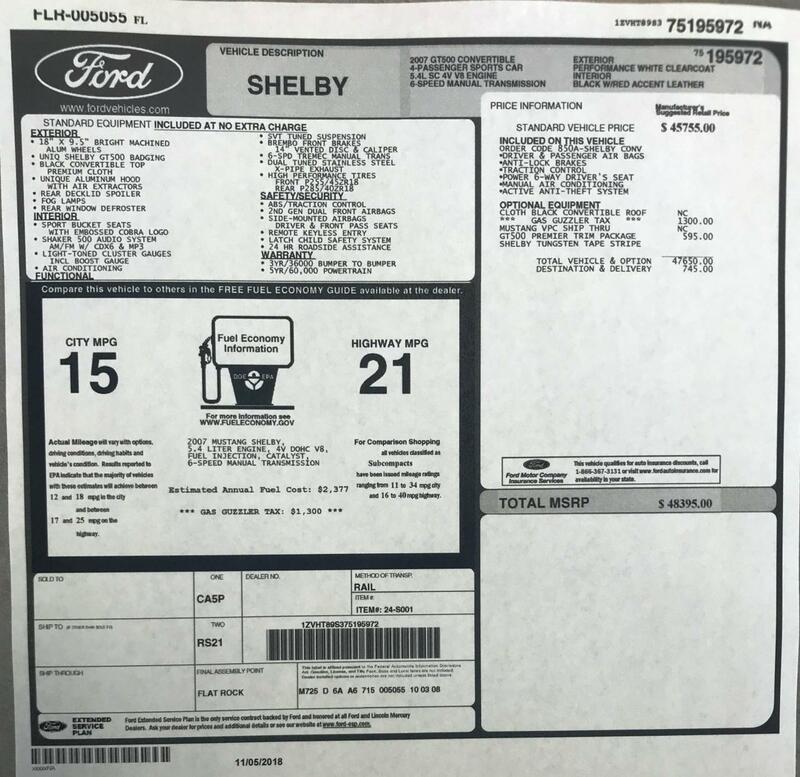 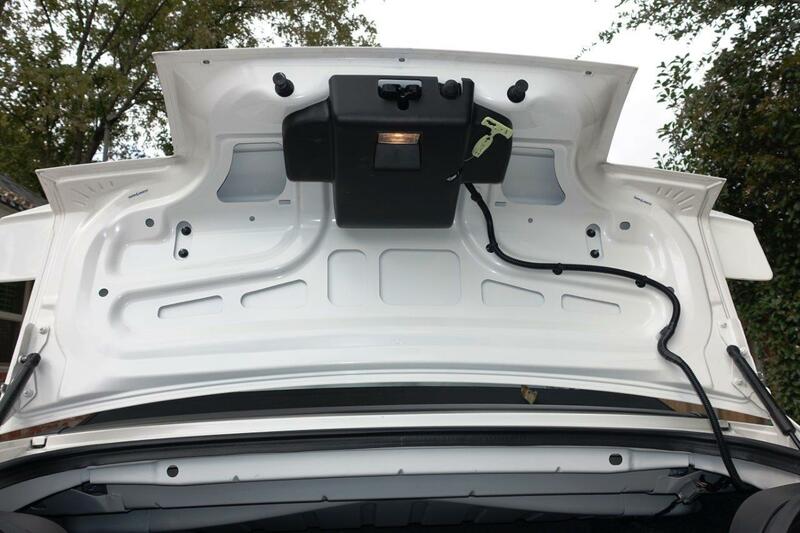 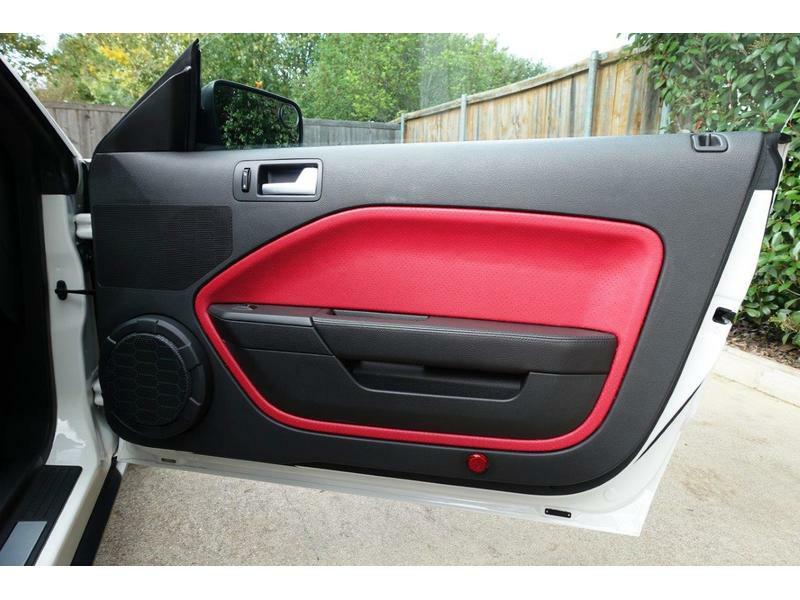 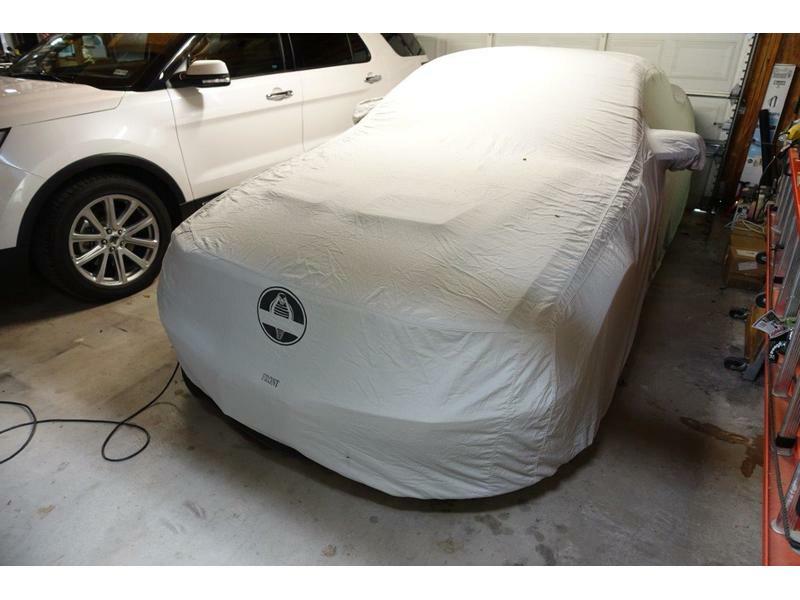 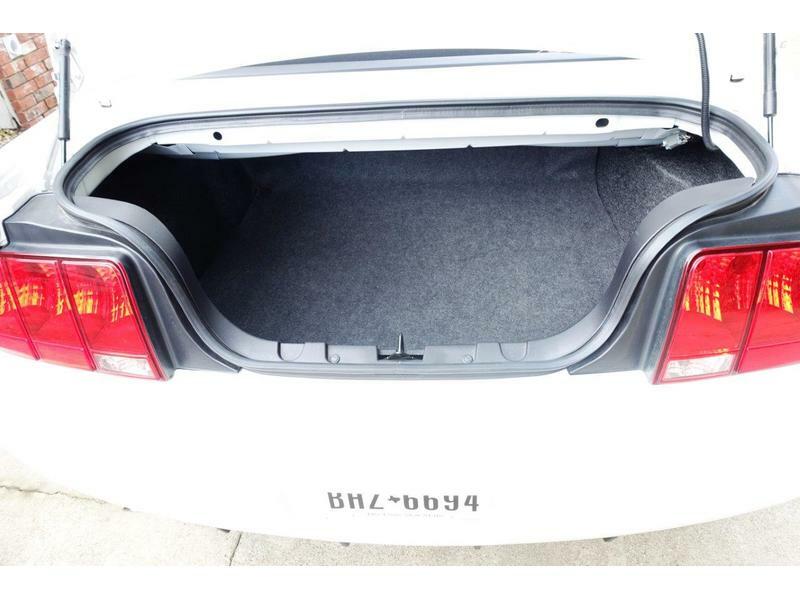 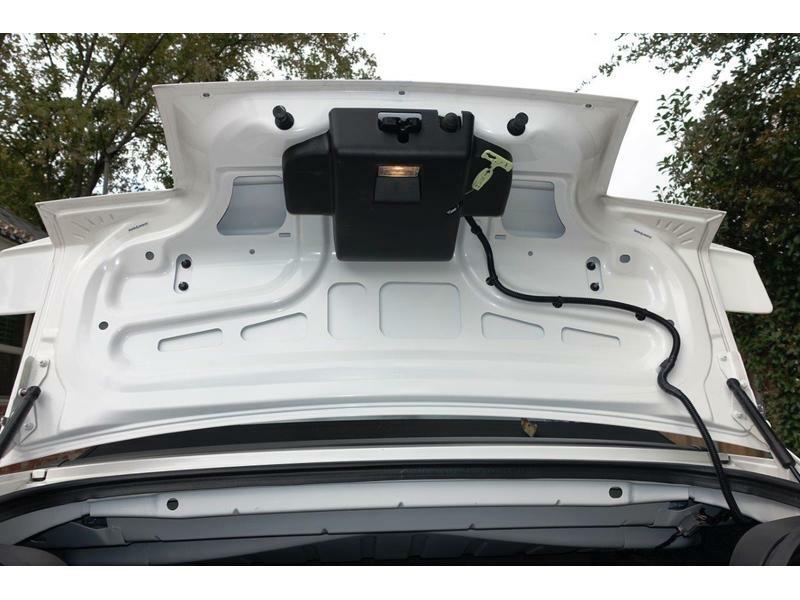 All Ford maintenance has been done, including the airbag replacement and the Ford dealer sales contract goes with the car. 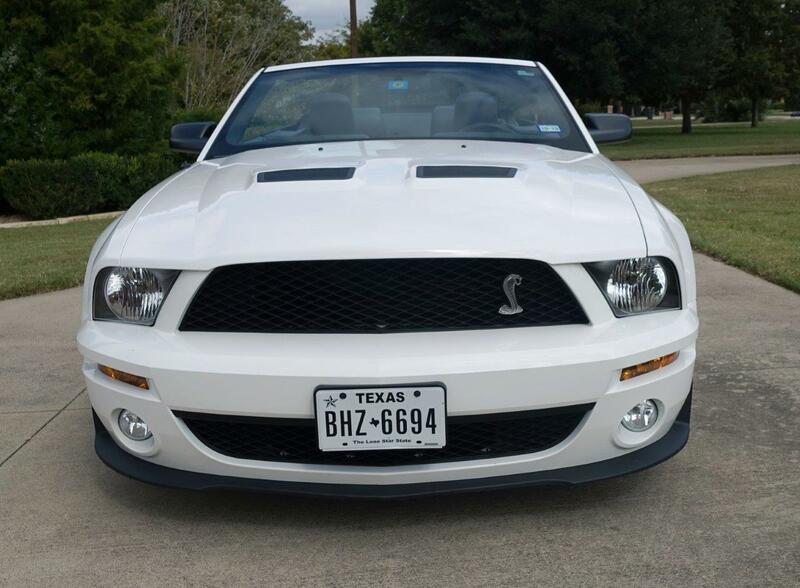 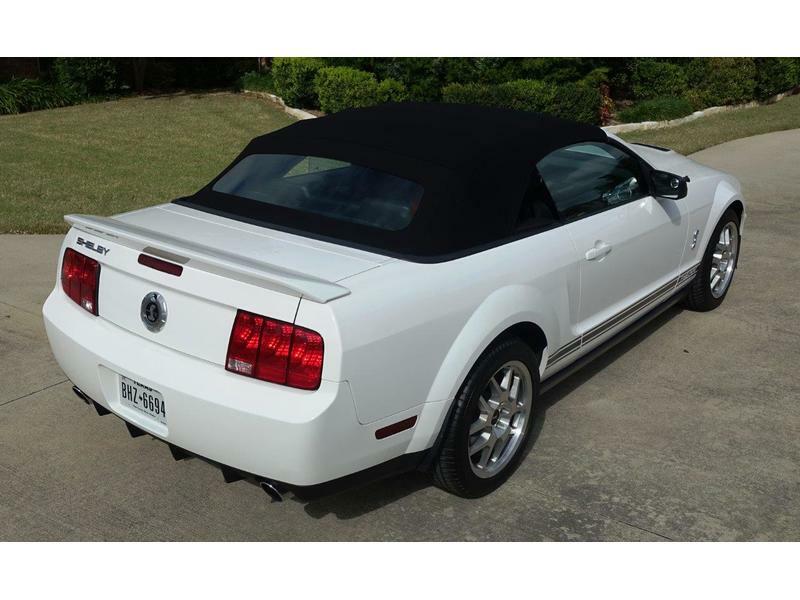 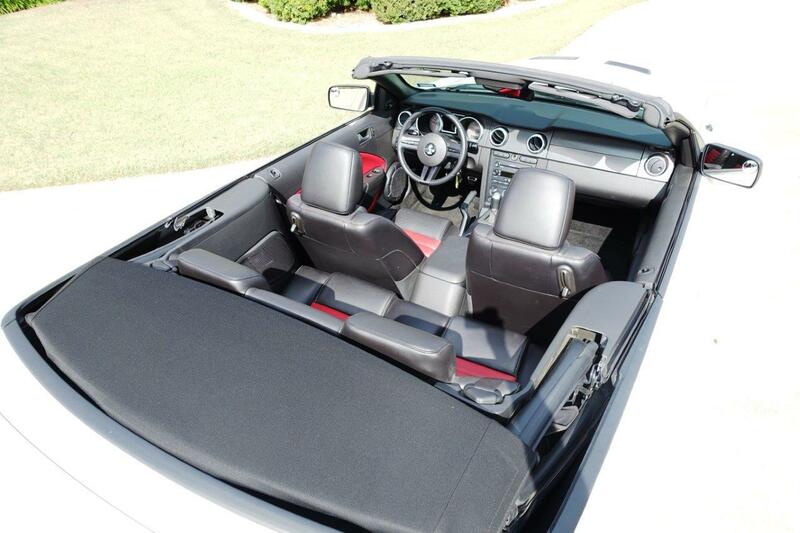 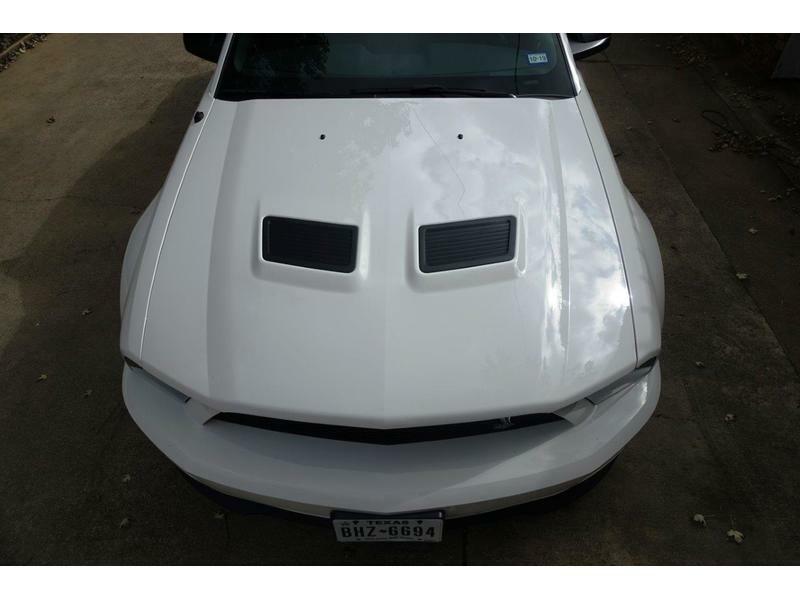 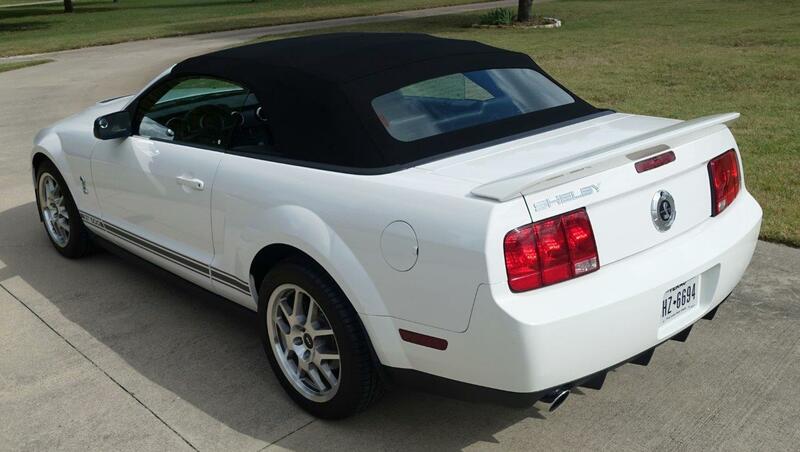 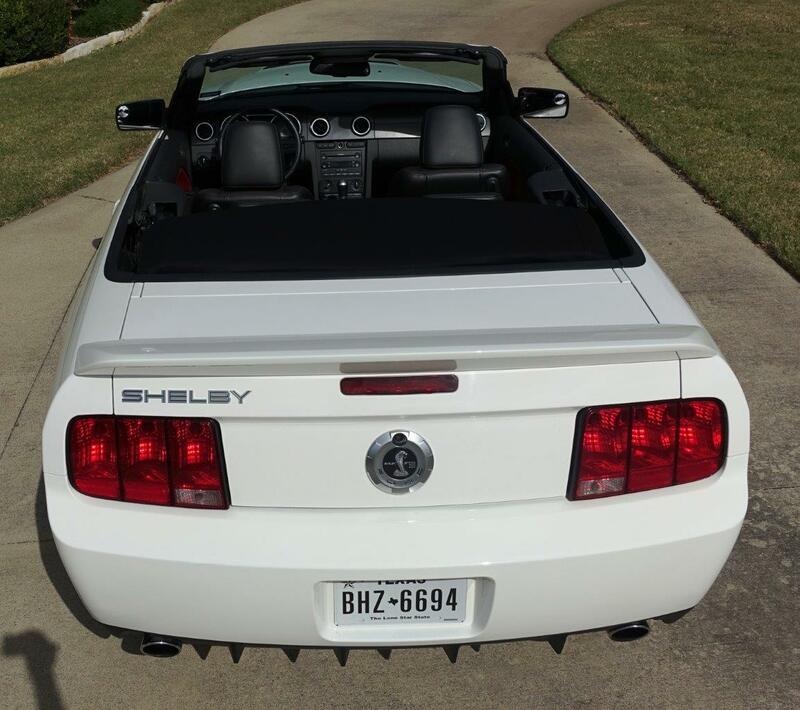 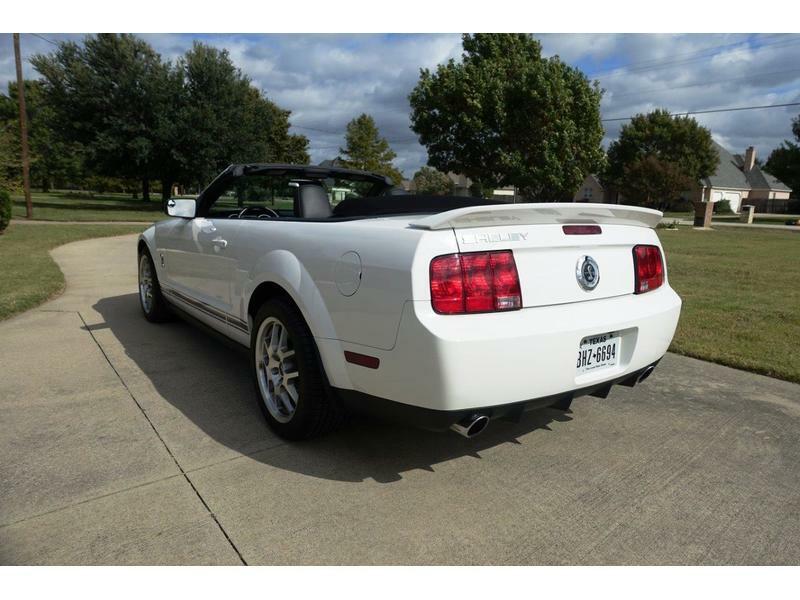 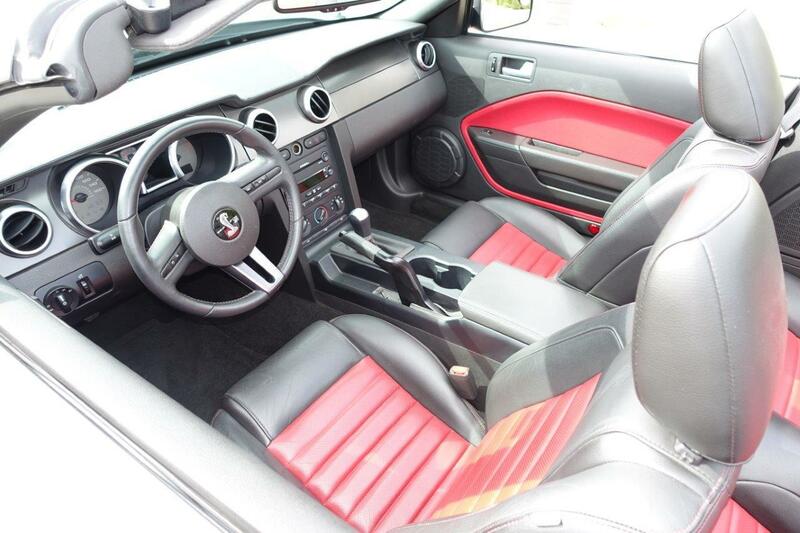 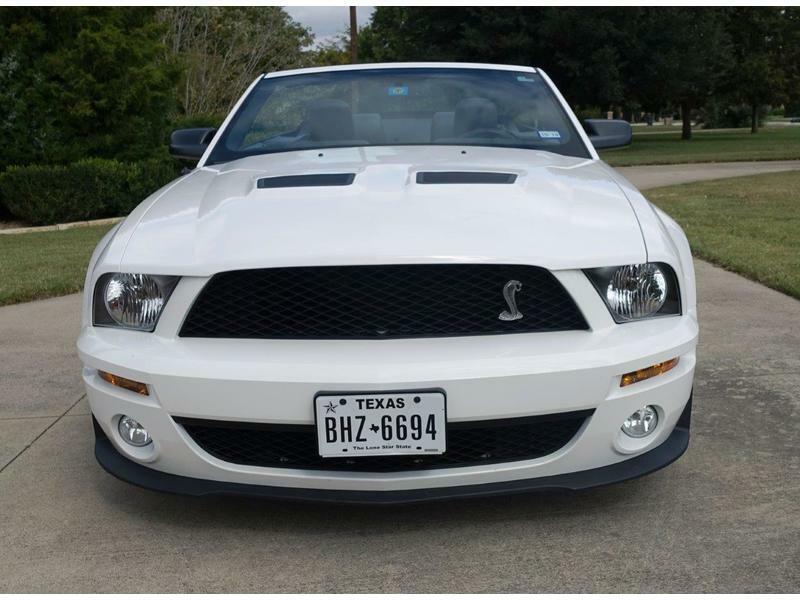 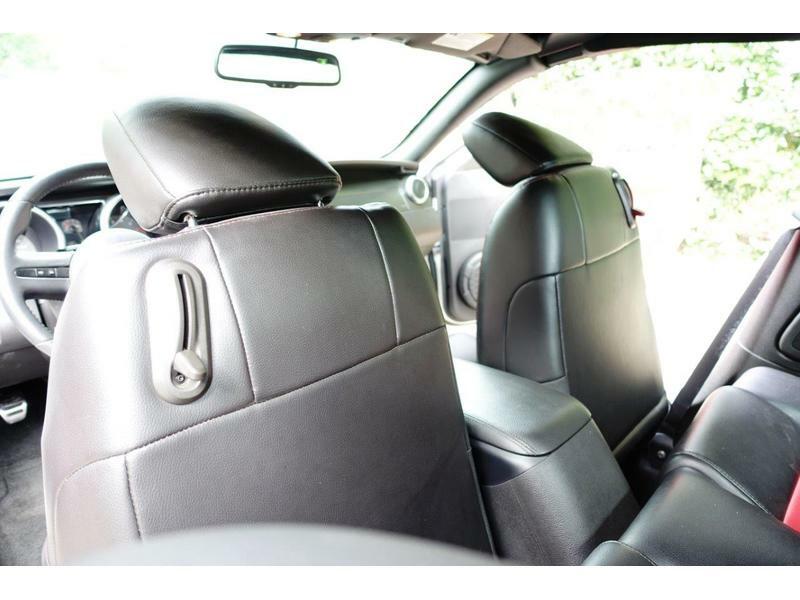 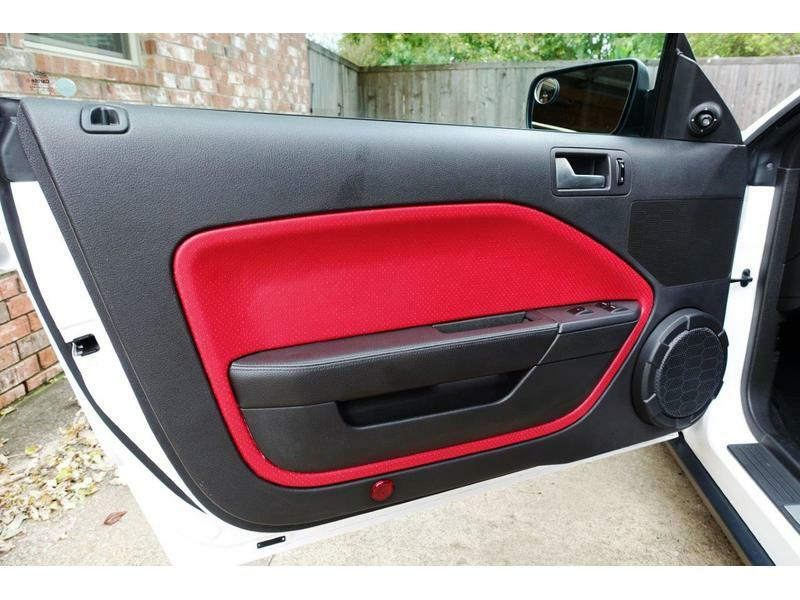 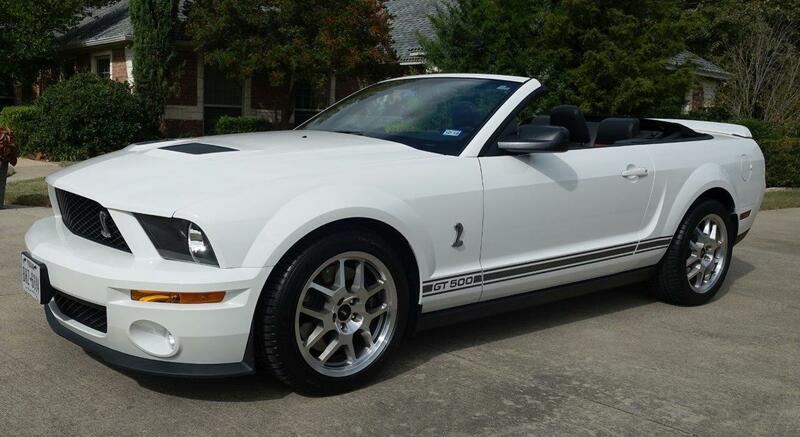 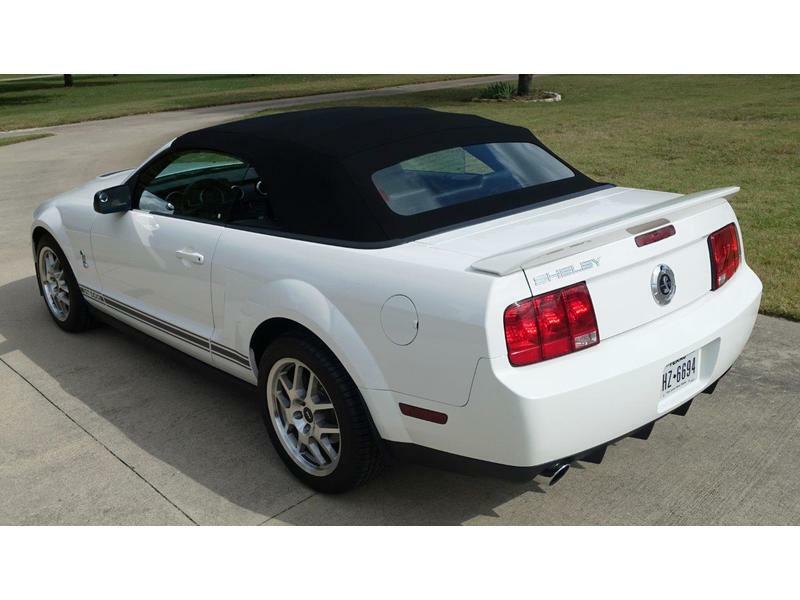 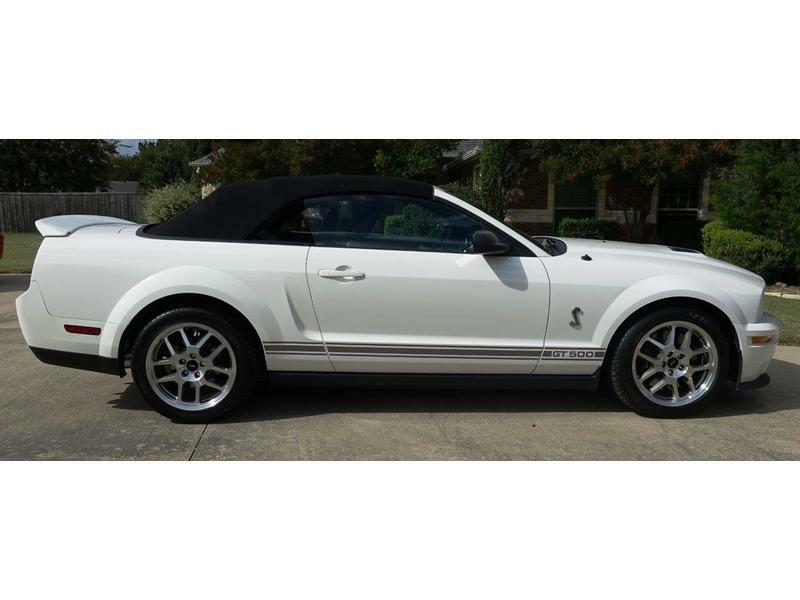 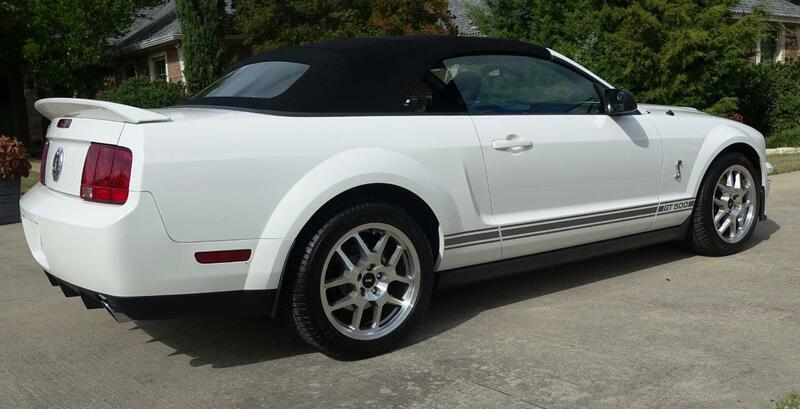 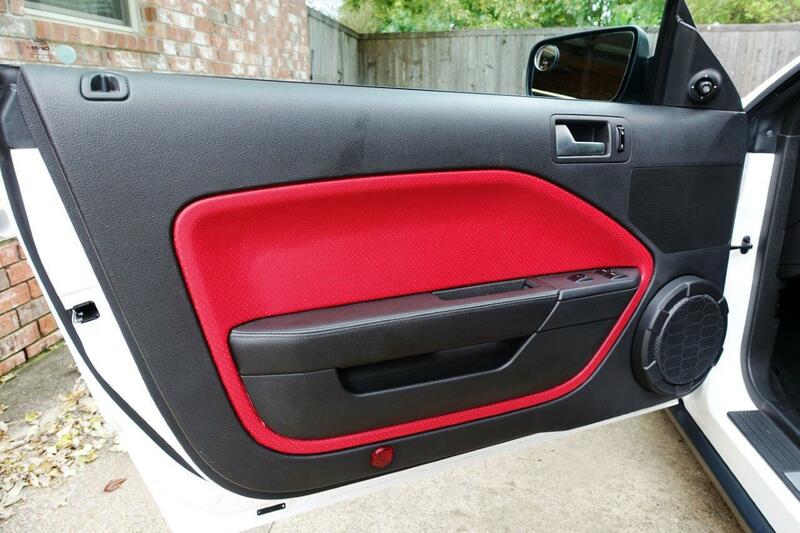 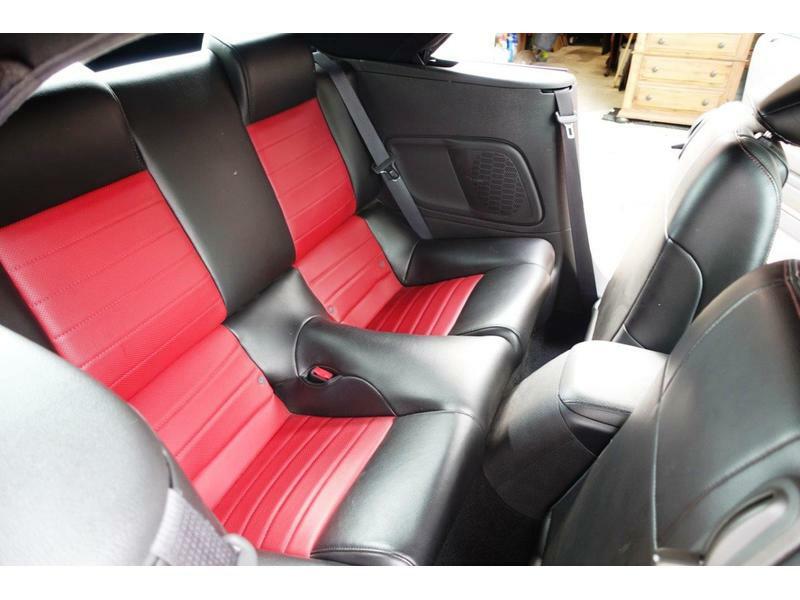 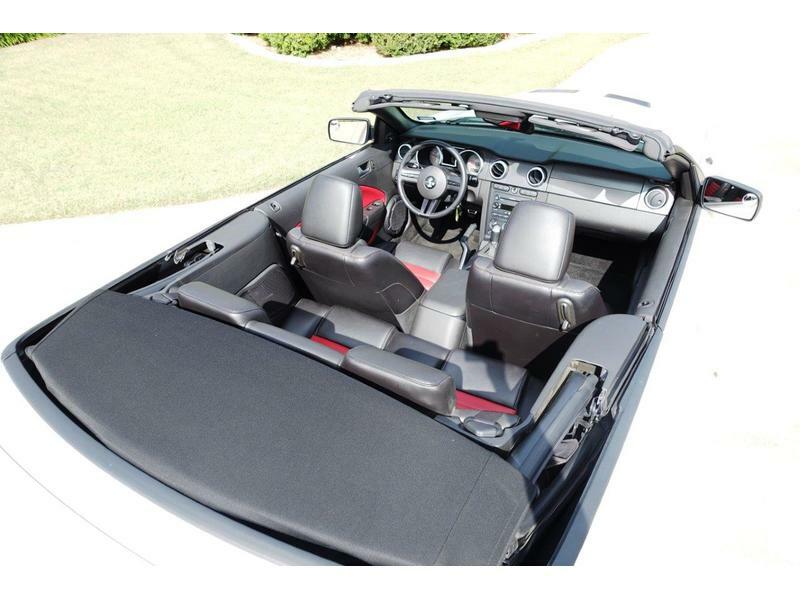 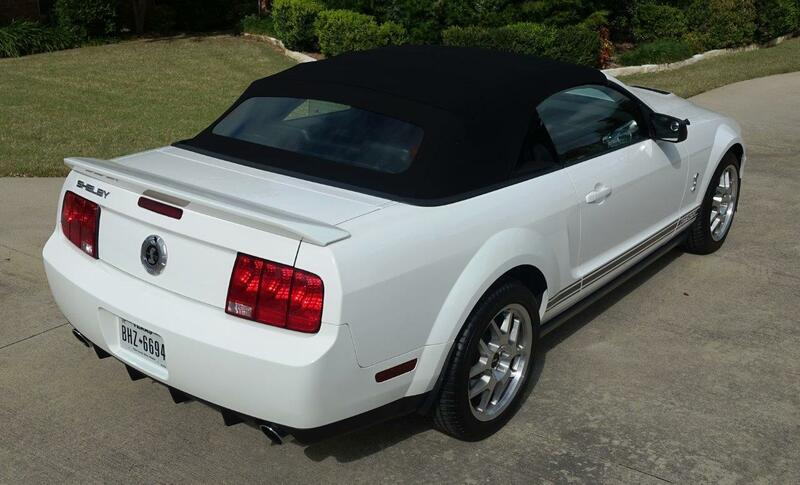 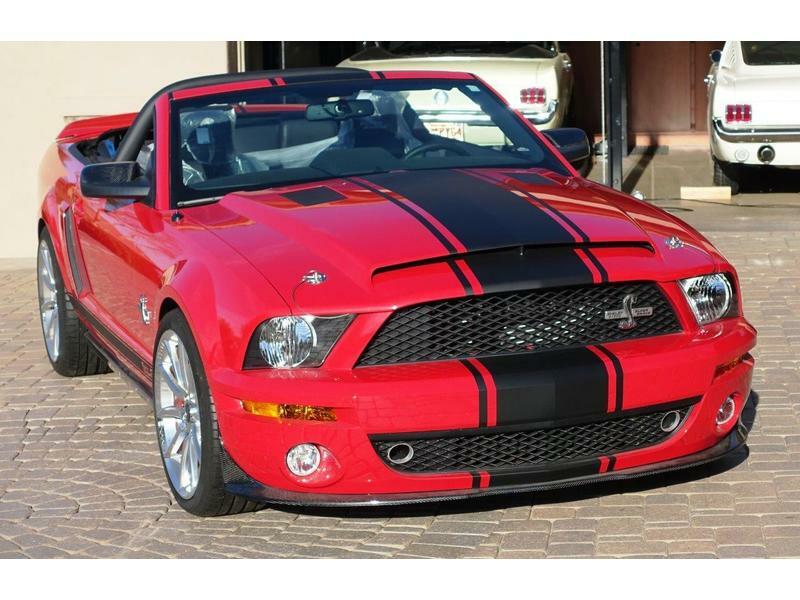 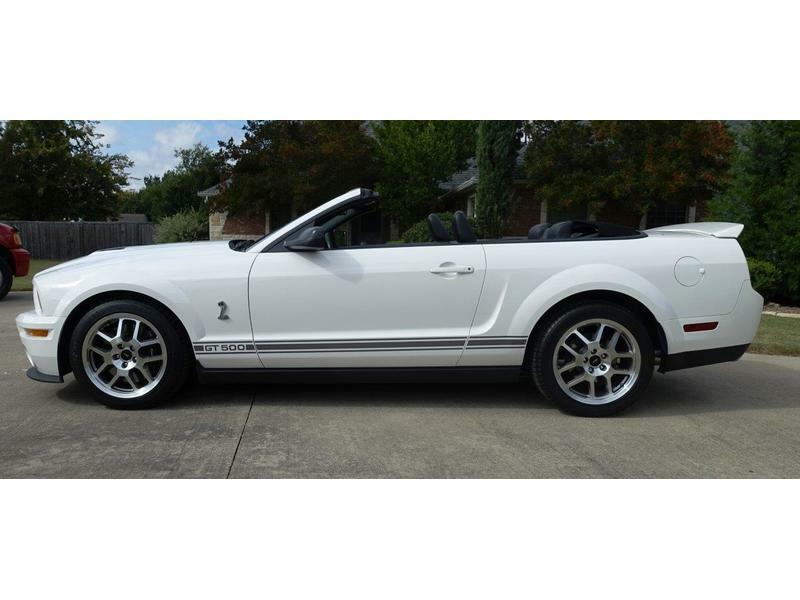 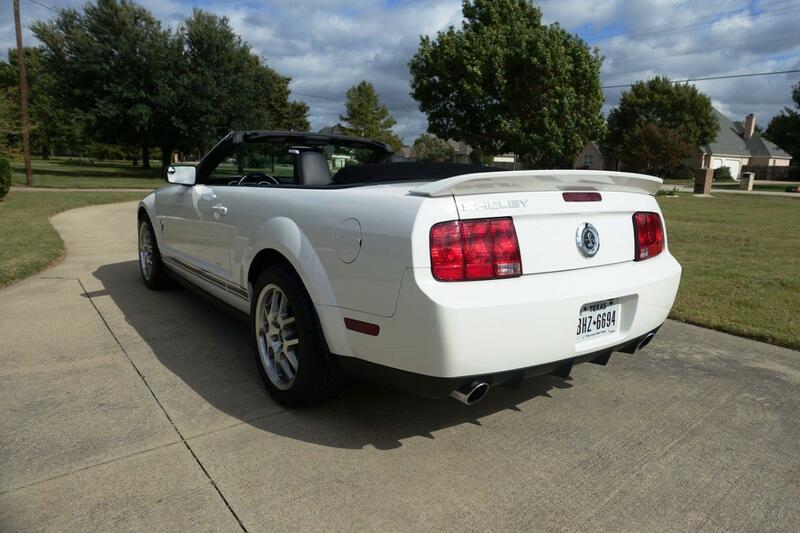 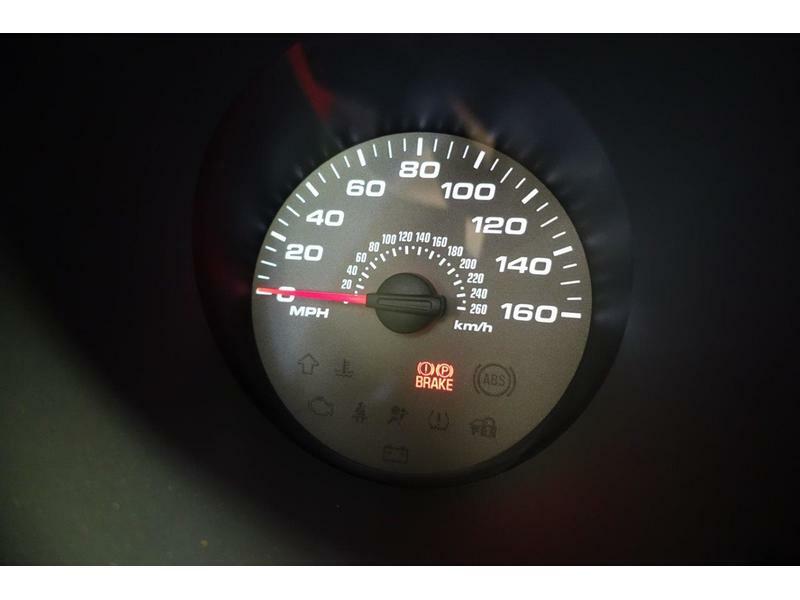 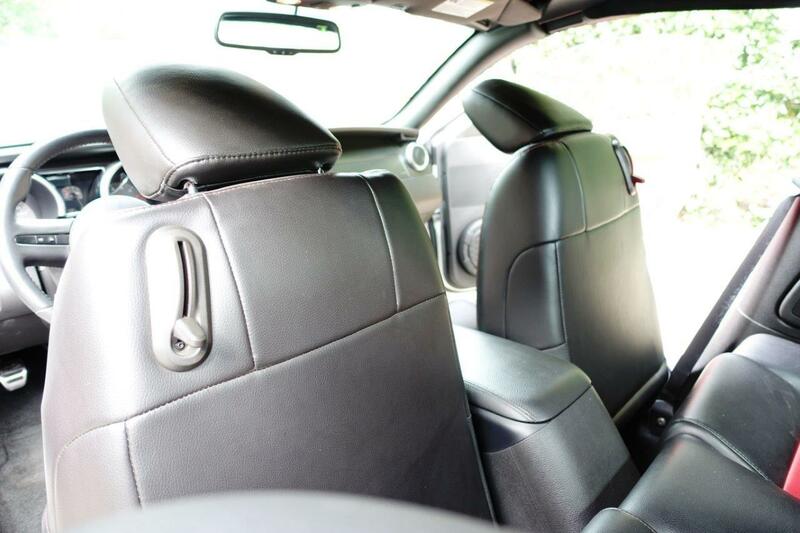 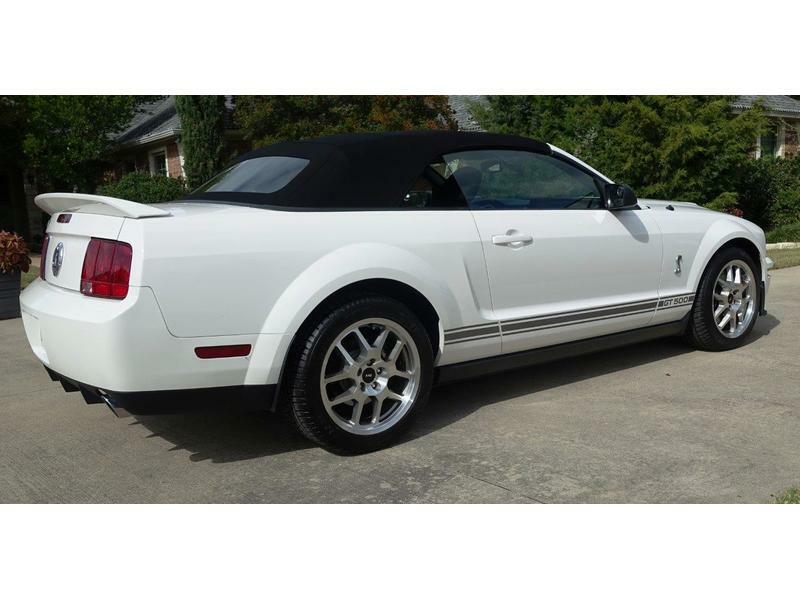 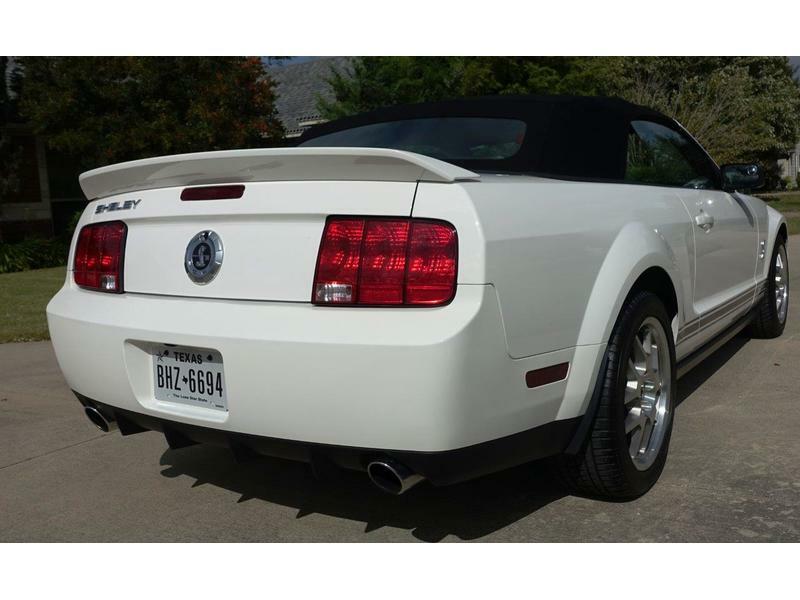 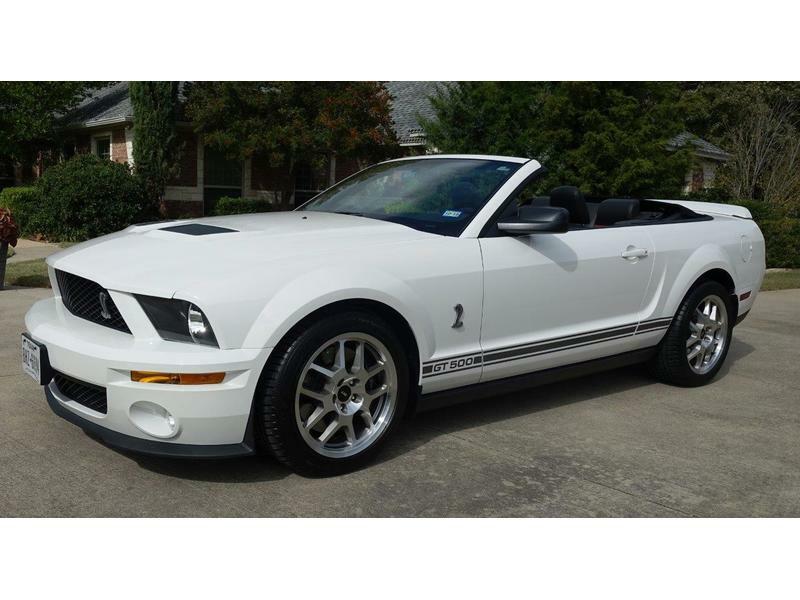 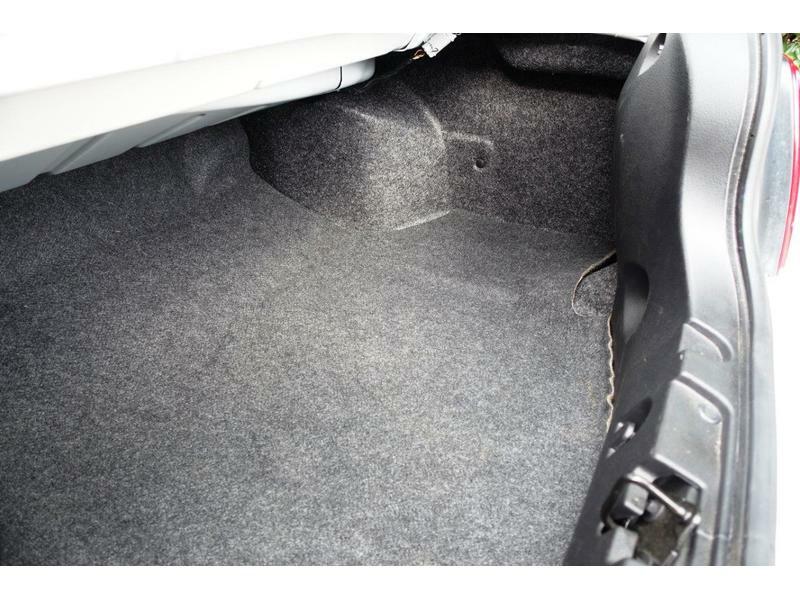 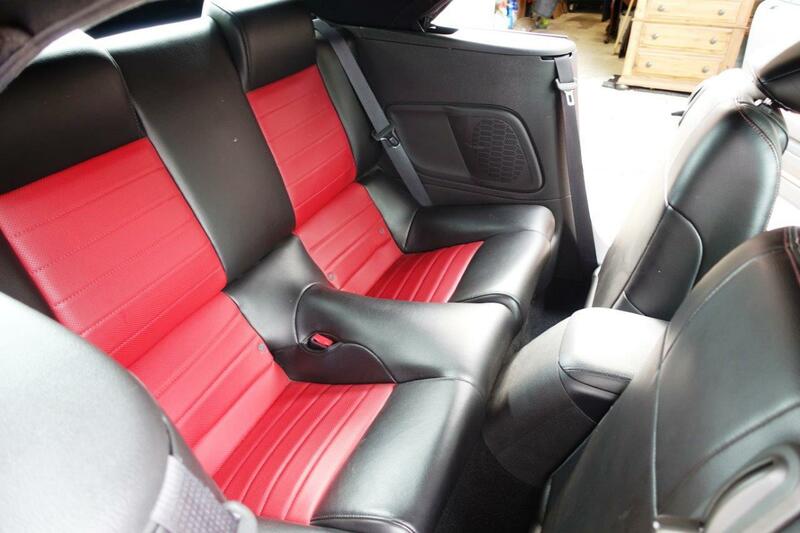 This 2007 Shelby GT500 convertible is located in the Dallas/Ft. 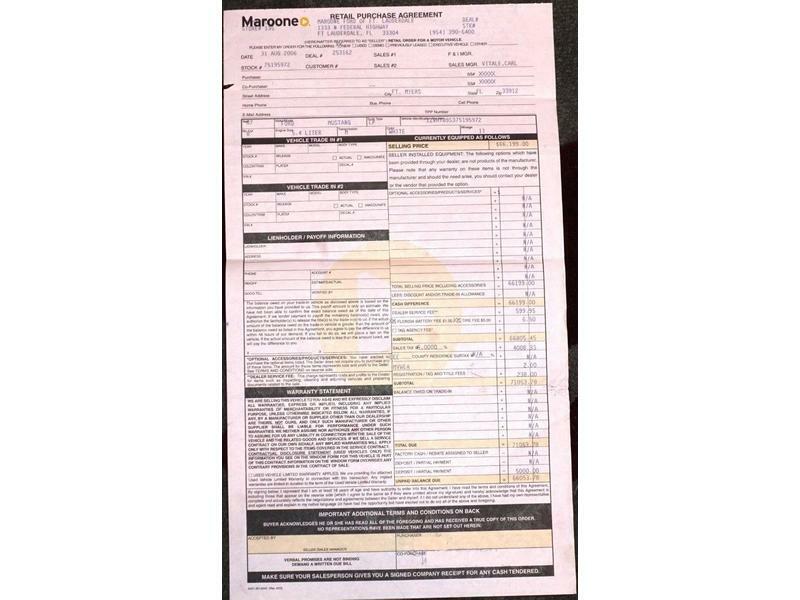 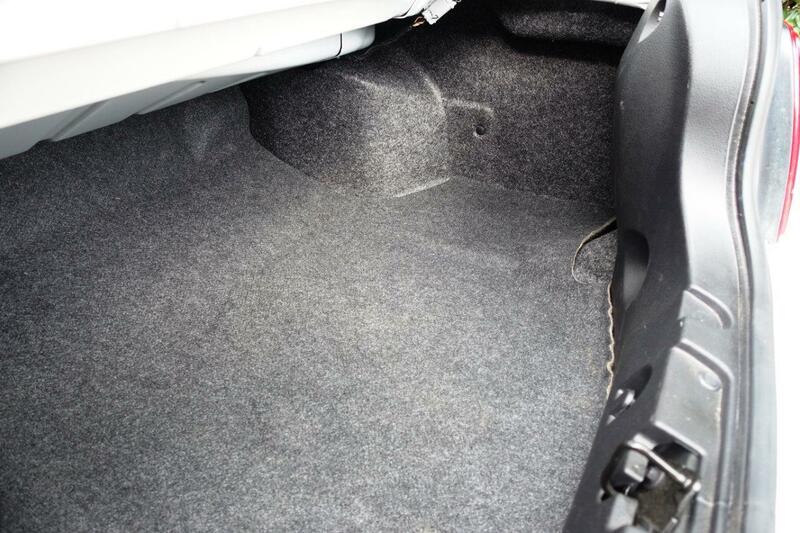 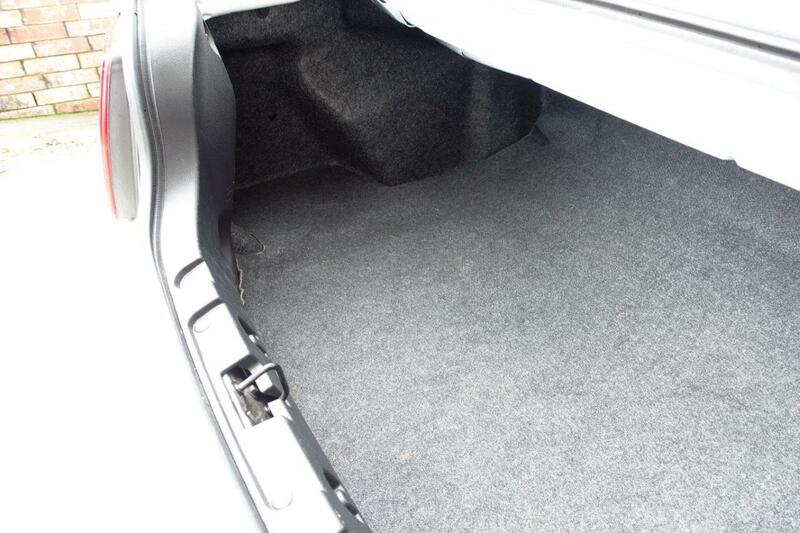 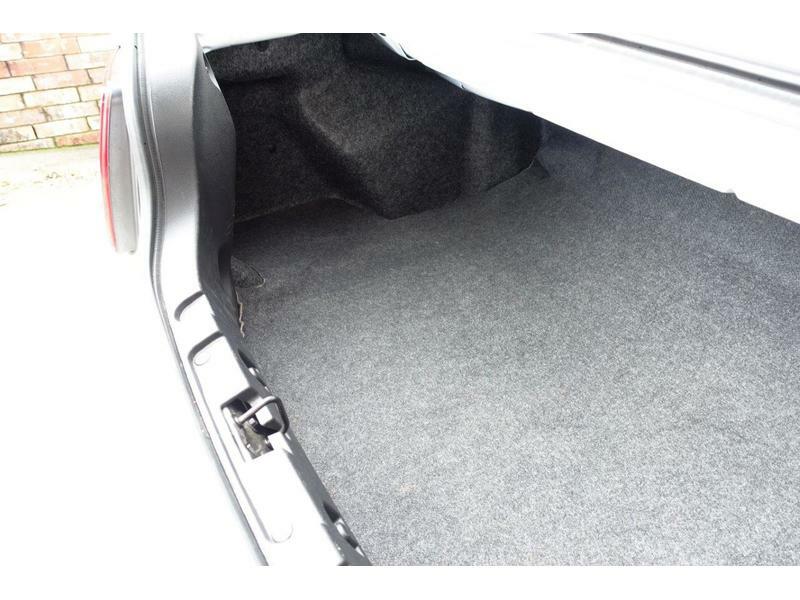 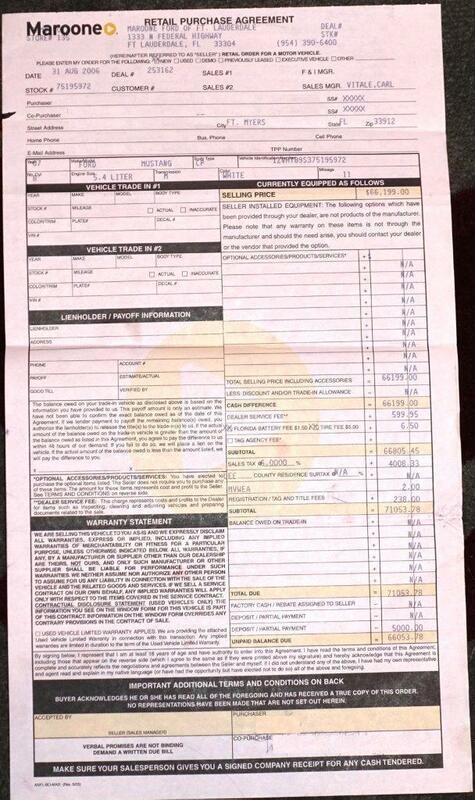 Worth area and available for inspection by appointment.